February is the month of Carnival in many corners of this planet. No doubt that we dedicate this edition of Riddims Tropicale strictly Carnival music – Soca from Trinidad and other places in the Caribbean. This year the groovy section of Soca moves on to more dance/club oriented sounds not every long time Soca maniac really appreciates. But listen to yourself! On the other hand not too much really great stuff in the jump-up section released so for, but we will see. Get this full 3h Soca Carnival madness session with your boy Marflix aka High Priest in the House of Bacchanalism longside a thursty Big Man Benny. No playlist this time (yes, we are lazy), but we have all of them top notch artists: Machel Montano, Bunji Garlin, Fayann Lyons, Kerwin Du Bois, Destra, Swappi, Shurwayne Winchester,..
As a few might know that before Riddims Tropicale there was a radio and podcast show called “Mash Up Show” specialized on Soca and Caribbean music – running from around 2003 till 2009. With RT #21 we bring back this spirit. Pure bacchanal – so if you wonder why things get a little crazy: well,.. find out yourself. 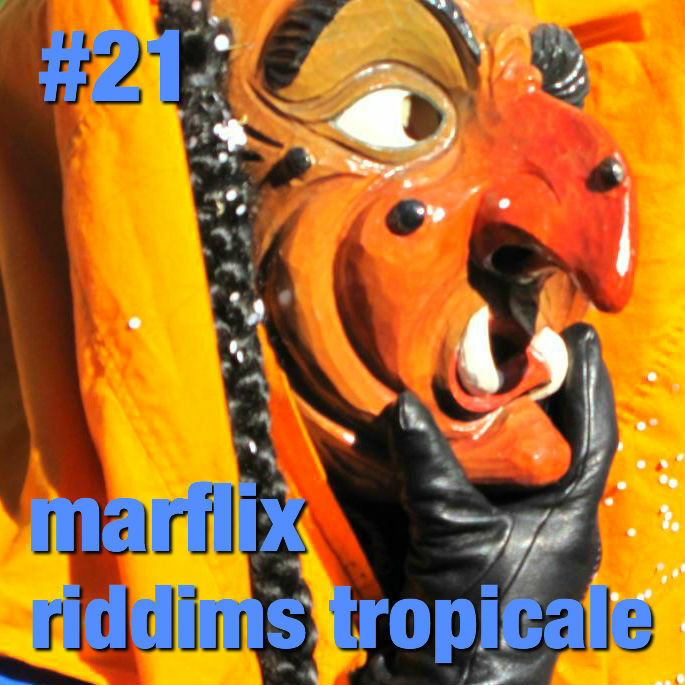 Riddims Tropicale is a monthly radioshow presented by TropicalBass.com streamed live every first Sunday of the month 2030h CET on Raggakings Radio. Hosted by Marflix with occasional guests.